This week I ended up in a new tapas restaurant in Wexford Street and the two lady owners had done no classic PR, but had made their restaurant known through the various social media. You could say they'd ticked every box of the latest trends. For a new restaurant it was absurdly busy, even though this gathering was early in the week. While we were eating, a queue formed at the door as the demand for tables was outstripping their availability. Well-established restaurants would be delighted if they had to cope with queues like these. 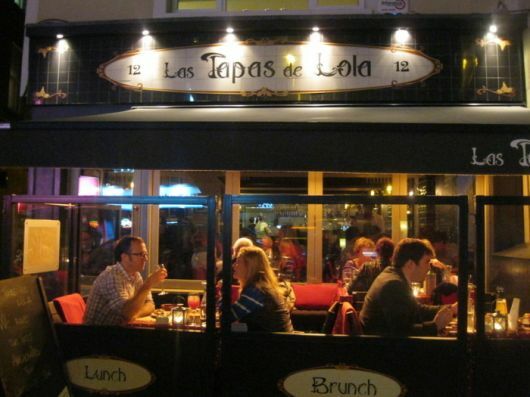 The restaurant was called Las Tapas de Lola and you can find it at the junction of Wexford Street and a small lane called Protestant Lane. There's an area outside that seats maybe 20, and inside there's room for maybe 50 more. The tapas taste like the real thing and the prices are good. The menu was divided into sections: meat tapas, paellas, salads, fish, sharing platters, extras and desserts. That totalled more than 50 dishes, so one thing's for sure: you won't be stuck for choice. But we didn't need to choose – what had been organised for us was that lots of different tapas would come to the table for us to share. That's exactly what tapas are designed for: communal eating.